This year, NTSE Stage-1 examination was conducted on 4th November 2018 in the state itself and the result was declared on 25 January 2019 by Odisha State Education Center, Bhubaneswar. The outcome has been set up on the premise of 159 marks in General Category, 127 marks in OBC category, 126 marks in SC category, 116 marks in ST Category, 93 marks in PH Gen category, 92 marks in PH OBC category & 83 marks in PH SC category respectively. Classroom students BAIBHAB SAHU is a State Topper with 179 marks. 4 Ranks in Top 10 General Category (1,6,7,9 ). 10 Ranks in Top 20 General category (1,5,6,7,9,12, 14, 16, 17 & 19). The National Talent Search Examination is merit based scholarship examination for class 10th students. It is conducted in two stages. It is one of the most prestigious scholarship examinations in India. NTSE examination can be taken by Indian students as well as Indian students studying abroad. 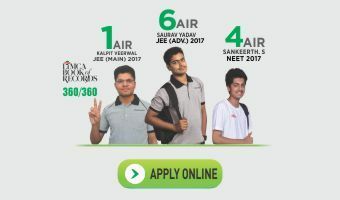 Around 4000 students get selected for the second round from all over India. Out of these, usually 1000 students will be selected for final scholarship of Rs. 1250/- per month which will be provided to them till class-12 and afterwards get Rs 2000/- per month to complete their education. Resonance wishes Heartiest Congratulations to all the selected students and wishes them all the best for NTSE Stage-2. This year NTSE Stage-2 exam will take place on 12th May 2019 in every state headquarters.